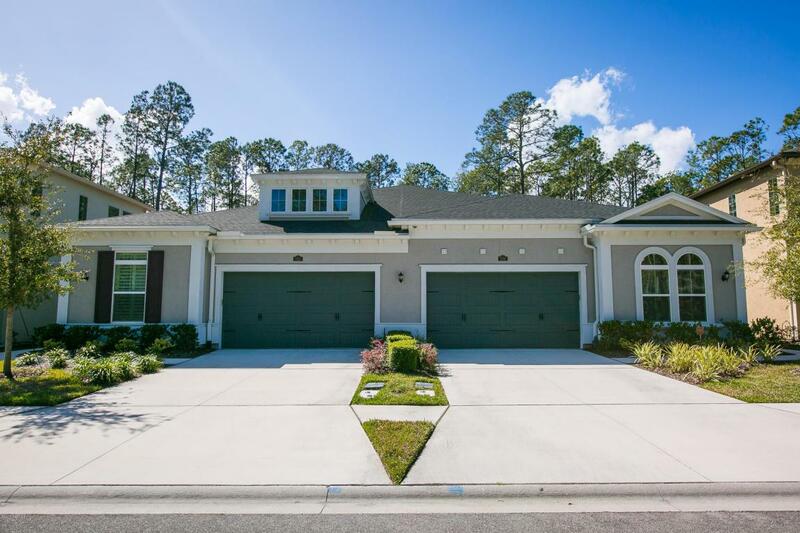 Welcome to the gated Villas at Nocatee offering attached single family units designed to be low maintenance for those ''done'' w/yardwork & upkeep issues! The HOA handles your yard maintenance, irrigation water, ext. painting & roofing. Our home is a one flr Santa Cruz w/3bdrms/2.5 bths + den + screened lanai overlooking a private preserve. Features incl; wood flrs, trey ceilings, 12' coffered ceiling in FR, 6 burner gas range, ss appl & farmhouse sink, granite counters & tile backsplash, Klipsch speakers, huge master shower, custom tile guest shower, great kit. island, soft close cab, custom light fix., tankless water heater, large laundry rm & water softener. The Villas has its own pool w/fireplace & shelter area. Owners also enjoy the Nocatee Splash Park & is only 10+ min to the OCEAN!